The French language seems to be having a hard time keeping up with all the new English technology-related terms. Thankfully we have the "office québécois de la langue française"(OQFL). Its core objective: to "Frenchify" English jargon and terminology. Sometimes their translation actually comes across as more accurate than the original English term and conveys the real meaning behind a word. 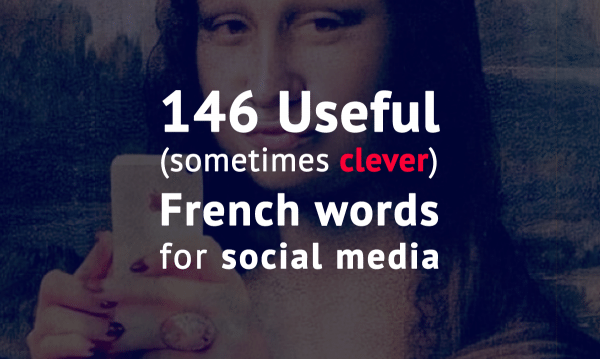 Here in this article, we'll take a look at French social media terms. You can also download the list if you're pressed for time now. When you subscribe to the weekly newsletter, this vocabulary list is just one of the many freebies you'll get. Ego-portrait---can it be even better? Epic win for Quebeckers! The verb "radier" in French means to ‘strike off / cross-off’. It sounds like "get-off of my list" in French. Very funny, no ? (yeah, I don't have a life). But sometimes the translation of English terms misses the mark (in my opinion). OQFL is not the only one trying to come up with a French alternative for English terms, L'académie française is involved too. Unfortunately, the institutes cannot come up with creative ideas every time and often just translate the word directly without undue consideration, often resulting in words that sound a bit weird. I’m referring to words like gazouillis = tweet or mot-dièse = hash-tag, which do not sound right in French. Indeed, I am not sure if these two words would be considered acceptable by a French native speaker. However, sometimes we have no choice other than to translate some English words. If we do not do it, it can be very awkward. "Pinner", such as (to pin) would be a big no-no. « Pinner » has a sexual meaning in French (pinner = to fxxx). So we have to use the French alternative "épingler". 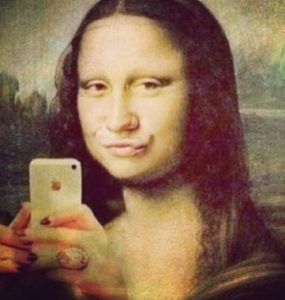 But enough of this short introduction to the complexities of translating today’s fashionable jargon, let's learn some new French words related to social media. Note: (CA)= Words used in Canada not in France. Exprimez-vous (“Express yourself”) (FB) What’s in your mind? Was it useful? If it is the case, do not hesitate to share with your friends on the different social media sites. Gazouille (tweet), Aime (like), Epingle (pin).... Merci! Previous Post Podcast #37 How the French Celebrate Christmas Next Post Podcast Episode #38: Are the French Rude?